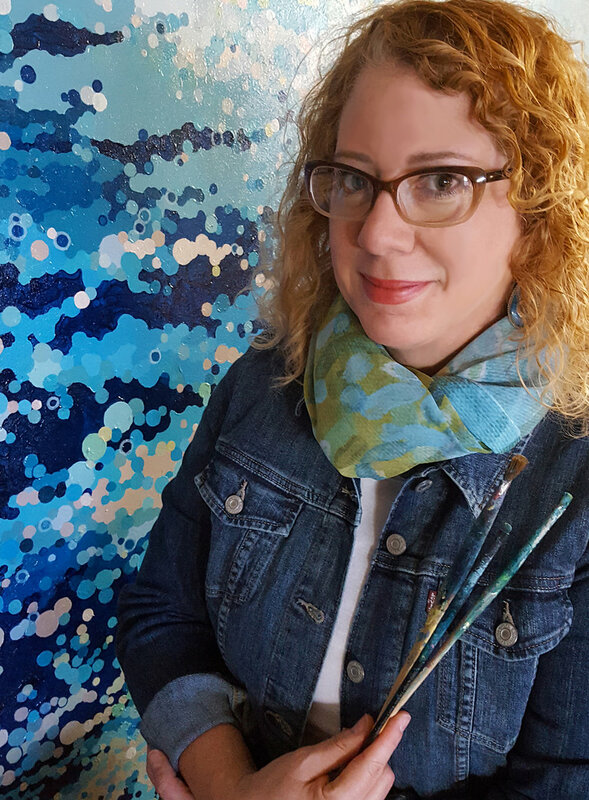 of St. Petersburg specializes in acrylic abstraction, using a variety of processes to achieve complex, multi-layered paintings inspired by the human conception and experience of Space-Time. Notably, he uses painter’s tape as a resist to create rhythmic patterns and shifting color relationships. He exhibits widely throughout the Tampa Bay region and is represented in Japan by agent Noriko Kuehn and Contemporary Heis Art. 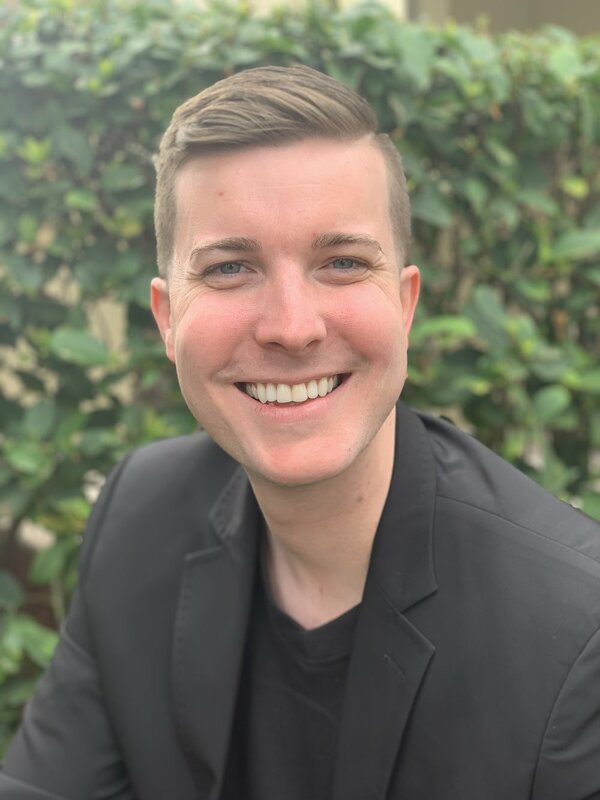 Nathan also serves as Curatorial Assistant at Dunedin Fine Art Center, Preparator at Scarfone/Hartley Gallery (University of Tampa). Nathan received a Bachelor of Fine Arts from Colorado State University in 2001 and currently maintains a studio in St. Petersburg, Florida. is a successful, professional artist who holds a BFA in Studio Fine Art from Columbia College Chicago, and 60 credits in Interior Design concepts. She has cultivated and extensive list of devoted supporters while working as an artist, corporate fine art buyer, gallerist, and designer for more than two decades. Her work displays prominently in a wide variety of settings-from celebrity homes and corporate common areas, as well as international hospitality locales. Margaret’s work is represented worldwide through renowned galleries. She maintains a studio in beautiful St. Petersburg, FL where she finds inspiration at every turn. started as an artist at an early age by copying images out of books. Today the moving imagery of daily living is his muse. His work is largely self-taught and comes naturally as he paints. Rootman says his inspiration for paintings comes from naturally occurring designs that have stimulated his creative and spiritual forces. Rootman’s hope that when you view his art the viewer and he can share a moment in time together, and that the experience will reflect back to us the beauty of discovery. Over the years he has experimented with abstract ideas in terms of how shapes relate to each other and the role of negative space. This prior study and my new emphasis on the ever-changing themes of life are expressed in my current projects. As an African American who grew up in rural Florida, he has developed a love for the versatility of growth and an appreciation for the hope of enlightenment. In this “new south” the full tenure of life's vibrant emotion is played out before us and offers us glimpse of a better tomorrow. Rootman’s work can be found in numerous private and corporate collections. Rootman maintains a studio in St. Petersburg Florida. James W. Singer is a native Floridian and moved to Lakeland in 2010. Inspired by his travels, Singer believes in challenging the mundane by highlighting the under-appreciated and often overlooked subjects of life. He achieves this through dramatic cropping and off-centre composition. Singer earned a Bachelor of Arts in Art History from the University of Florida. He was drawn to art history believing that great images inspire feelings and emotions that no other medium can express. Through his fine art photography, Singer seeks to capture the stories all around us. My paintings are my views of the world through consciousness and unconsciousness. Devoid of preconceived ideas and direction, I take a stream of consciousness approach, where the act of doing or the process is equally important to the finished piece. Rendered in ambiguity yet painted with clear definitiveness, organic shapes, rhythmic lines, and glyphic marks develop as I work, leaving each piece open to the viewers interpretation. For me, my work is about a gay bipolar man caught up in his life. Dealing with reality and how to understand it and how to avoid it. Surrounded by the world’s energies, where sounds are vibrations and visions are colored shapes. The paintings are about this vibration, this chaos. And yes noise. It is so often we feel overshadowed, overcomes, overwhelmed, confused and tormented by an overflowing list of to dos. The reality of today that become tomorrow bringing us to here, to the present. Lost in the moments bogged down in catch up. And the reality of today gets tossed into tomorrow. Energy is a constant. Defining limits is from our own perspective. Definitions are based on our culture, our geography and our experiences. The work is a series of energies moving across the surface to bring light to reality. The surfaces are buzzing with life, dense with color movement and special mindless abandonment and at times devoid of space. They are of today with no thought of a tomorrow’s horizon. I am doer, not a talker nor do I have the answers for my life's troubles. I don’t look for answers but yet they find me in the work. I find direction through doing. Sometimes I walk, sometimes I run, but mostly I find something to process and justify. I believe in process; how one foot moves and the other one follows. It gives me a reason to exist. Artistically I move through thoughts, abstract and dream reality. It is a world of constants. I struggle by being trapped by the man I am. My reality, my pretend realities, allows me to escape into acceptance. Creating a story without blame, self-pity or self-serving agendas, I serve up a manifestation of a dream reality, inner reality without fear or panic. Through visual acuity and poetic sensibilities, I work out my demons – depression and anxiety. Spontaneity happens by the surge of ideas rushing to surface. In doing the work, I follow color and line to create movement within the composition. The expressionistic qualities arrive on a different train of the unconscious mind. I try to coax the evolution along. The work sort of detach themselves from me and become kind of a dream within a dream. I let my ego swallow me.